I have done some things that only pregnant women should do. Since I am not pregnant, this just makes me kind of a crazy person I think. But I don't care because it was so much fun. What did I do? Well...I registered at Target. I really like the look of white baby furniture. The crib is a 4 in 1, converting into a toddler bed, day bed, and a full size bed. Pretty sweet! 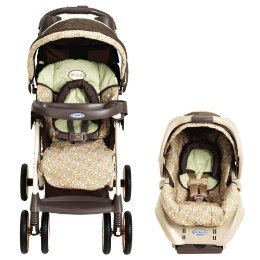 This stroller is also a car seat. I guess I am into the whole convertible/multi-purpose thing! 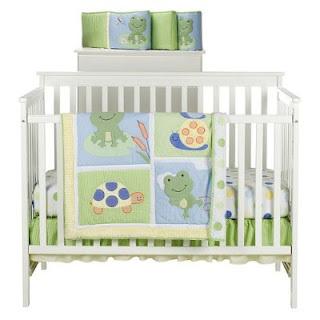 I also thought that little froggies would be a cute theme for the nursery. 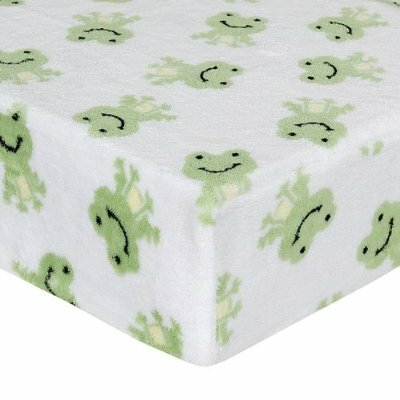 Here are some pictures of the bedding I liked. What you do with baby stuff I do with wedding stuff. Don't feel bad! lol...I know the feeling...I'm on theknot.com and not even engaged... The only thing I would caution, is getting too attatched to something when you're not ready to purchase, because by the time you actually need the stuff, it may not be available. Stores change merchandise over ALL the time. Also, the 4 in 1 crib, I heard it's not all it's cracked up to be. Neal and Wendy have one, and the "todler bed" is basically just using the sides as head and foot boards...you still have to buy the whole bed assembly.. Anyway...have fun living out your fantasies! OMG You & I would be best friends in real life. =] Before I hopped over here to blogger, I was on thebump.com (one of my main websites) and looking at what nursery furniture I'd want at pottery barn kids. Im also huge into white!!! I save all of my fav. baby beddings to my favorites tab, along with other neat websites I find. OH-- not to mention I made a fake baby announcement on TinyPrints to try out the names I like. =] I don't share this too easily, either, as I do think people will think I'm insane. Those convertible things are the best! I have a table and chair that fits the infant seat first, then converts to a high chair and of course the table and chair. Good to be registered now. Love the frogs..so cute. you're so cute!! and I LOVE that white nursery furniature! That convertiable crib idea is great....we got one for Blake and I love that he can us eit his whole life!! You are too funny! I always see the cutest baby girl outfits, and I so want to buy them! But Timmy tells me, " what if we have a boy?"! 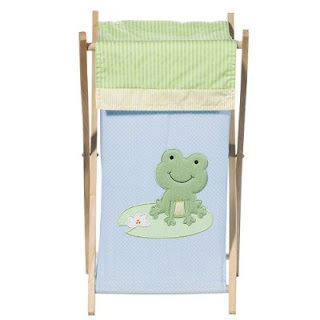 I love the froggies for a boy! You've got baby fever! 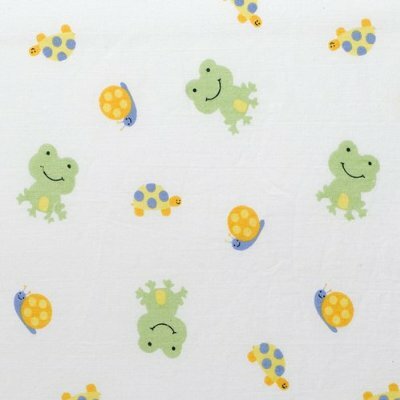 lol I had a boy first and he was lots of fun but I just had a girl....OMG girl baby clothes are sooo CUTE!!! :D I have to hide all the new clothes I buy for her from my husband!! That awesome and kinda cute too, lol. Teehee! You're adorable :) Thats FUN, not weird! I mean...someday you're going to be pregnant and you wont have to stress about registering! That's hilarious, but cute. I love the froggies!